"Bird Rescue Awareness & Assistance Project"
Gretchen’s Gold Award project focused on raising awareness about the dangers facing wild, native birds such as oil spills and a loss of biodiversity, and sharing with young people and the broader community about the proper ways to rescue injured or sick wild birds so they can be returned to the wild. 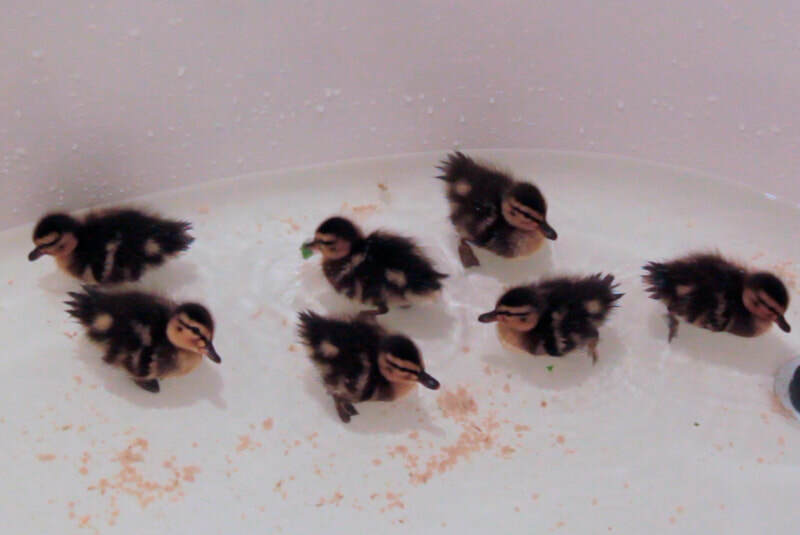 She worked with Tri-State Bird Rescue and Research to address a challenge they identified: the pens they used to care for rescued waterfowl were heavy to move around and difficult to store off-season. 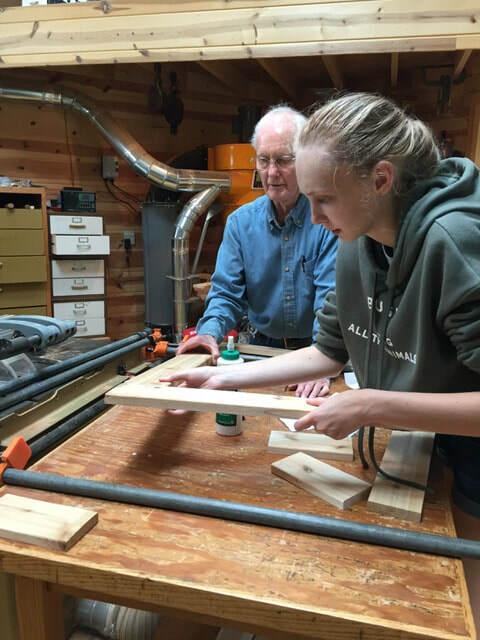 With the help of a carpenter and her team, Gretchen designed and built a prototype of a foldable, space-saving pen to be used to shelter injured and sick native water fowl. The pen she designed is lighter and can be folded and stored without taking up excessive space. 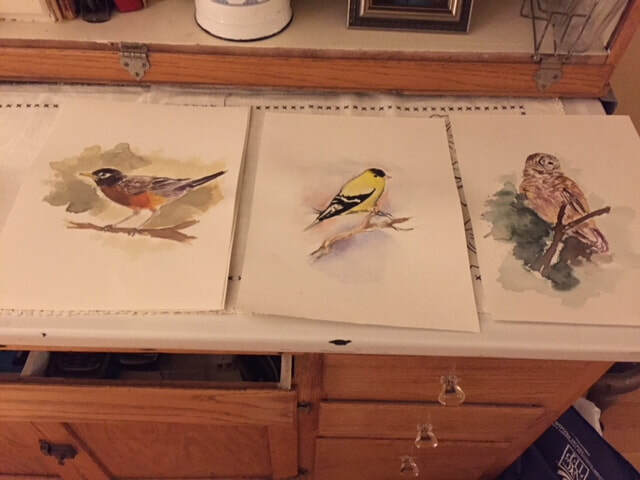 She created an electronic presentation, a survey and a brochure about the proper ways to help an injured or sick native bird. She used these to teach and quiz participants and provide information that can be shared with others. ​Finally, Gretchen developed a detailed step-by-step instruction handout with pictures, for use by Tri-State to share with other volunteer organizations which would like to build similar pens so the organization would have more foldable pens in the future. Mackenzie’s Give Tomorrow a Chance, a suicide prevention & awareness project, included a health fair, ally pledge, a "yellow out" football game and spoken word performance to educate, support and encourage discussion of this very important silent epidemic. The goal was to help change the way people view mental health and its effects and to give students and community members necessary skills to engage with each other to initiate conversations. Poolesville Day attracts upwards of 15,000 visitors every year. 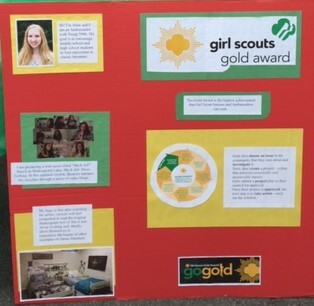 At our Service Unit’s booth, Mackenzie shared her Gold Project with other Girl Scouts, their families, the local community and many visitors from out of the area. ​She collected signatures from those pledging to be an ally in the effort to raise suicide awareness and prevention. 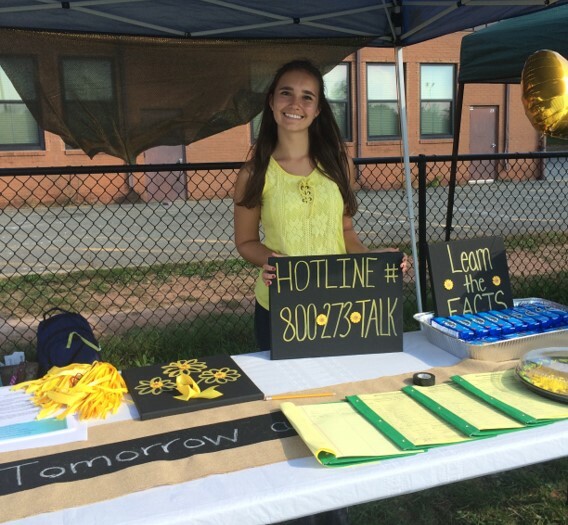 Mackenzie created and ran a Suicide Awareness Health Fair. 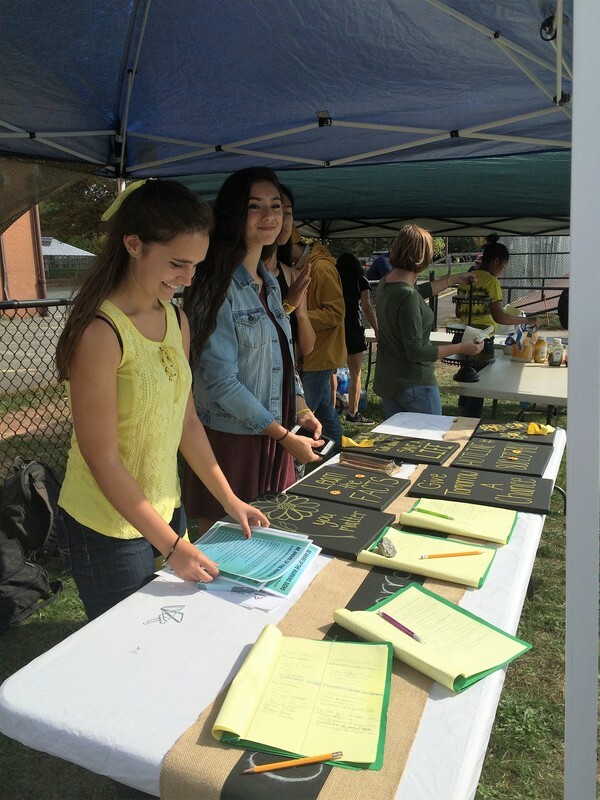 Hundreds of students participated and were supported by the administration and staff at Poolesville high school. 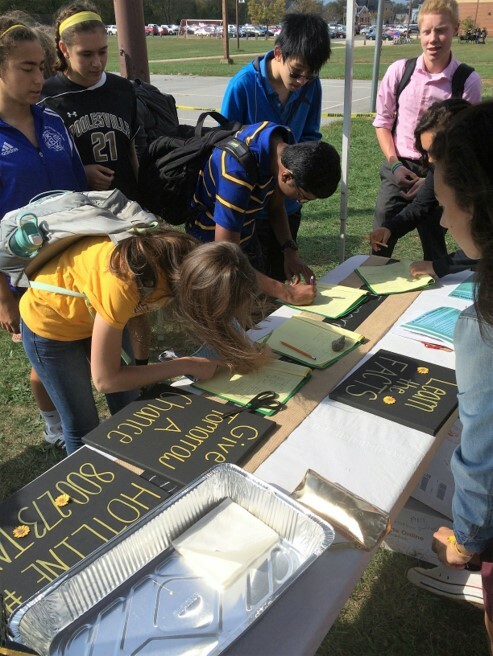 Over 500 students, staff & parents have signed the ally pledge so far. 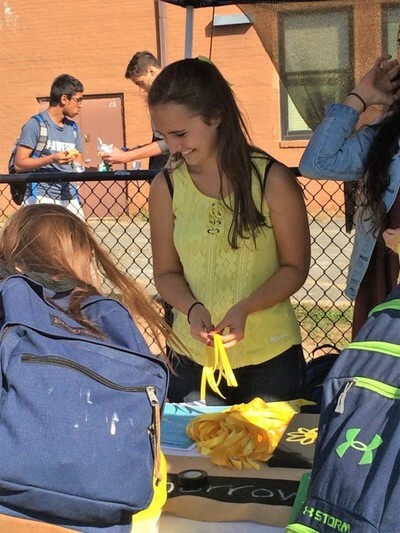 ​Students, families, staff and community members wore yellow to a Suicide Awareness Football game at Poolesville High School to raise awareness. Mackenzie handed out commemorative shirts to the first 100 through the gate and spoke to the crowd before the game. 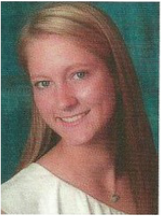 ​As a Miss Poolesville nominee Mackenzie chose suicide awareness and prevention, “Give Tomorrow a Chance” as her platform. She performed an original spoken word piece to a packed auditorium of approximately 500 students, families and community members. 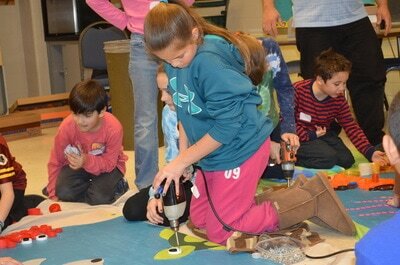 Megan coordinated sewing groups to make activity aprons for patients at the Frederick Memorial hospital. Activity aprons also called fidget aprons are a unique way to provide sensory stimulation. While each fidget apron is different, the general idea is that a person can put the apron on and have a variety of activities, trinkets and charms within their reach. Some fidget aprons include zippers, braids, different textures and patterns and all are designed to engage the minds and fingers of someone living with Alzheimer’s. Anna helped raise awareness for coral reef conservation. She created 5 public service announcement videos in hopes to inform and educate teens about preserving our coral reefs. 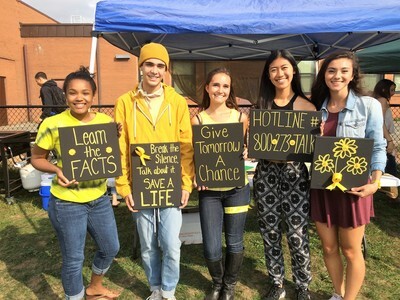 She also created a lesson plan and worksheet that was presented at Poolesville High School and the community to help spread the word to her peers and the general community. ​Anna showcased her project with a display at our Service Unit's booth at Poolesville Day. By doing so she shared her projects with the local community and many visitors from out of the area. 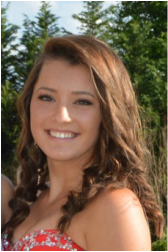 Anna gave her lesson plan to two teachers at PHS to use and share with other teachers. The Society for Ocean Sciences has also used her videos for their Facebook page, so people can continue to watch and share them. ​Anna’s hope is that people feel the call to action when they see her videos. Anne’s goal was to create a product that would inspire interest in the plots of classic literature through a creative way of presenting the story, igniting a passion and interest in reading the actual classic work. Due to the modern adaptation of Much Ado About Nothing, Anne incorporated modern issues that surround students in today's environment. These included topics such as sexism, cyberbullying, and depression. Due to the relevance of the episodes, students are able to connect on a deeper level, encouraging students to pursue reading classic literature on their own. Anne also created lesson plans to be used when teaching "Much Ado About Nothing", but with the video blog series as an accompaniment to the lesson. These lesson plans are located on a website for teachers, Share My Lesson. 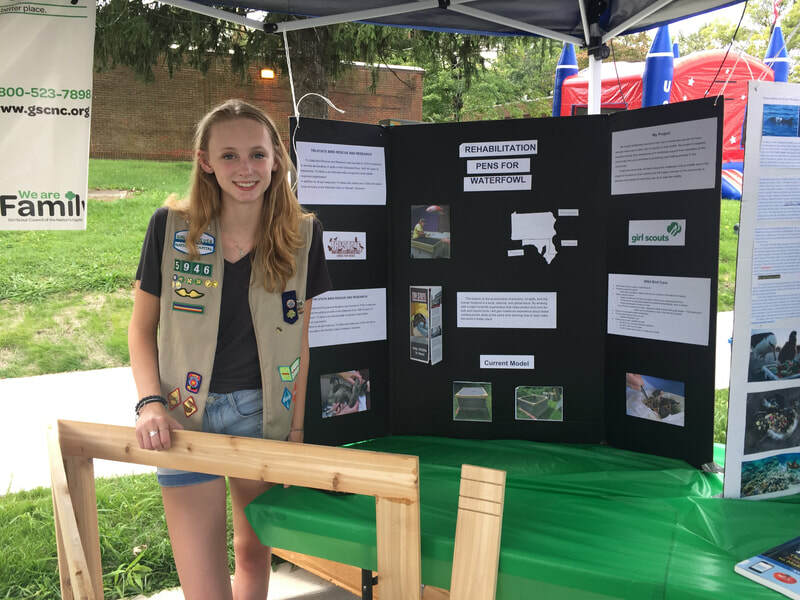 ​Anne shared her project with the local community and many visitors from out of the area by creating a display for our Service Unit's booth at Poolesville Day. 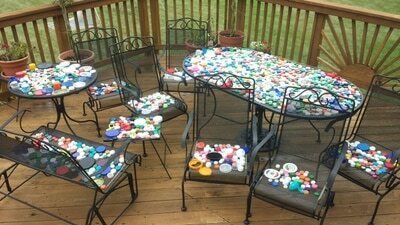 Sophia's “Don’t Drop the Top!” multi-media project combined art and science to educate people and to raise awareness of the harmful effects of discarded plastic bottle tops on marine wildlife and to promote the recycling of bottle tops. The first part of the project was an electronic media campaign including an educational website: http://dontdropthetop.weebly.com/ and a Facebook page: https://www.facebook.com/dontdropthetop to highlight the problem of marine debris and to let people know what they can do to help. 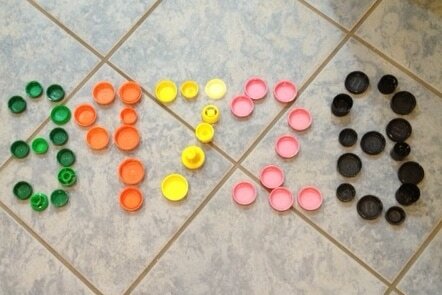 The project’s Facebook site had 426 “Likes” from people in 22 states and 7 countries. The second part of the project was a large ocean-themed mosaic mural made out of individually screwed in recycled bottle tops that Sophia and her team helped the students of Poolesville Elementary School (PES) in Poolesville, MD design and assemble via a six week long after school environmental club that she created. 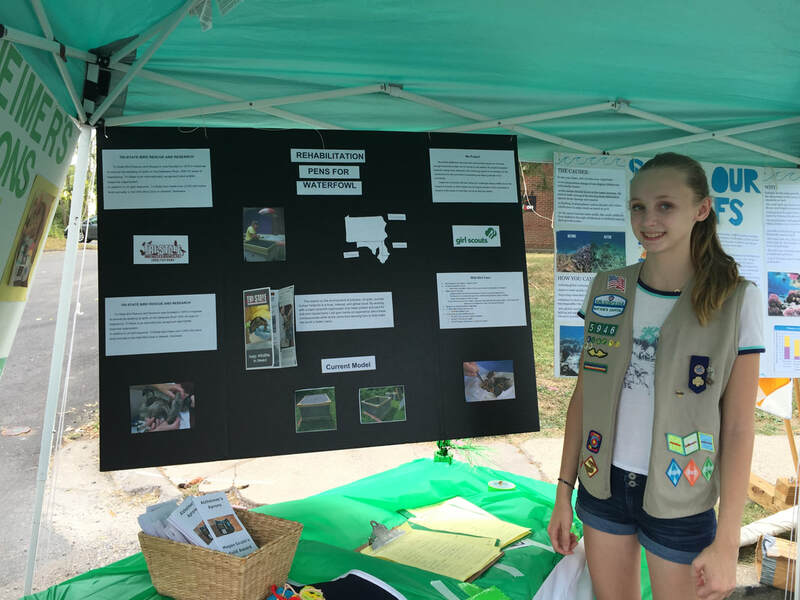 ​Sophia educated the Poolesville area community about the plastic problem, by posting about it on the town's Facebook page and by participating in Poolesville Day. 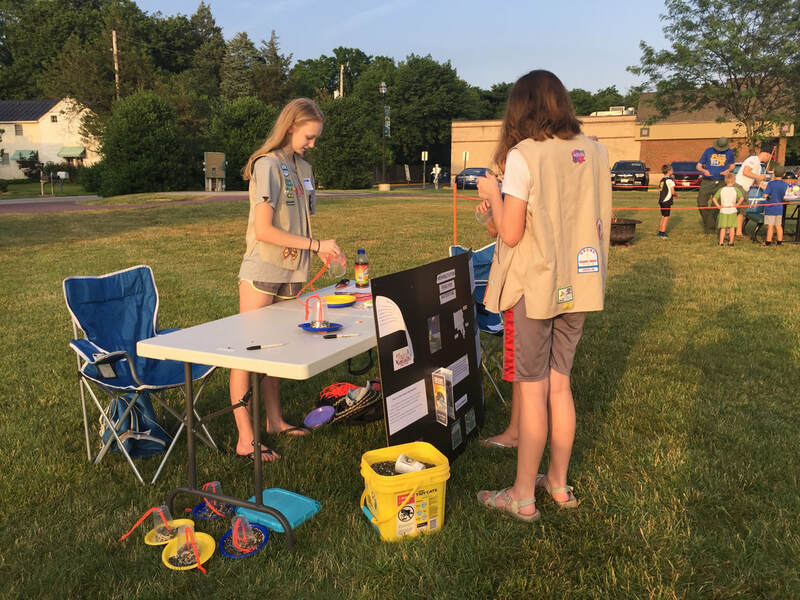 At our Service Unit's Poolesville Day booth, Sophia set up a sorting station to invite people to sort the collected tops by color. While at the booth, sorters learned about her project from the display she created. To make the mural students screwed in the caps into the painted plywood, filling in each area like a paint by number painting. Sophia with some of the 24 club members who helped create the mural. ​The plaque she designed that is hung next to the mural has a Quick Response (QR) code that will take those with the smartphone application right to the Don't Drop the Top! website. "Update Children's Waiting Area & Playroom in Hospital"
​Amanda provided a bright cheerful place for children in the hospital in both the waiting area as well as the playroom. 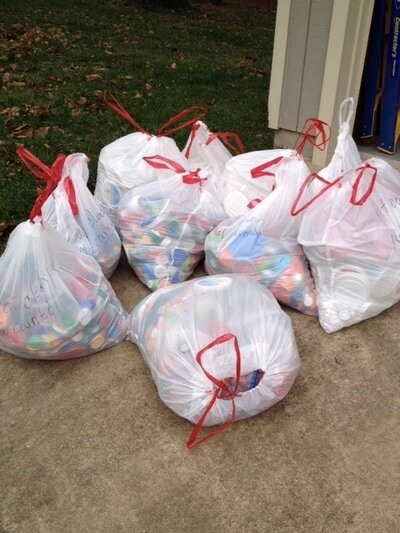 She worked with others to coordinate a collect of new toys/movies, reorganize the play room to make it easier for children to get to toys, and painted Disney characters on the walls of the waiting room. "Helping Bed-Bound Children in Hospital"
The goal of Amber's project was to provide activities for children who were confined to their bed or their room while in the hospital. 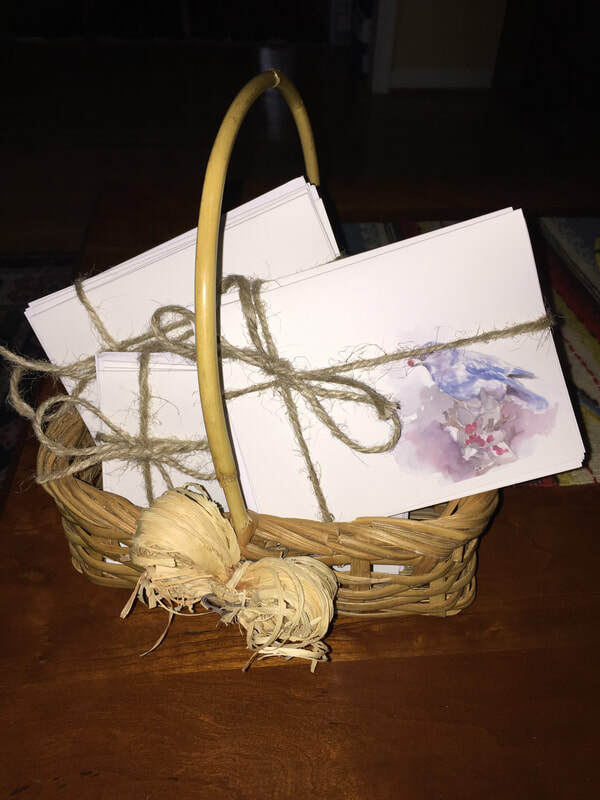 She worked with younger girls to make a lot of 'Get Well' cards, and developed packets of puzzles, games, coloring pictures, etc for the children to use while they were in their room. She provided the Nurse Manager with a CD of activity packet so new copies could be printed whenever needed. "Bags for Wheelchairs & Walkers"
The goal of this project was focused on people who needed extra assistance with general tasks. Laura coordinated a team of friends and made bags that could be attached to arms/backs of wheelchairs and walkers. These were donated to local senior groups. Amanda's project was "Sounds of Music." She organized and performed music concerts for residents of Asbury Methodist Village in Gaithersburg. 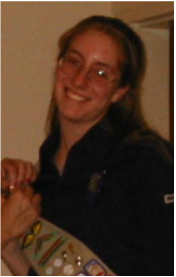 Amanda coordinated a series of concerts over the course of a year at the Senior facility. Examples include: recruiting members of her church choir, as well as the bell choir she is a member and performing a piano concert for them. Amanda received a Gold Award scholarship from GSCNC for her project. The goal of this project was to focus on the environment and the principles surrounding "Leave No Trace". Tasha put together class outlines that could be used for a variety of age groups from elementary to high school. 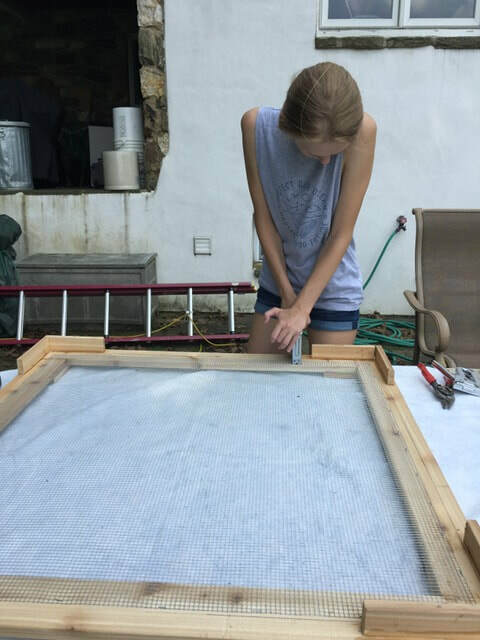 As part of a senior field trip, she used what she had learned to put together a presentation for the Global Ecology Class. 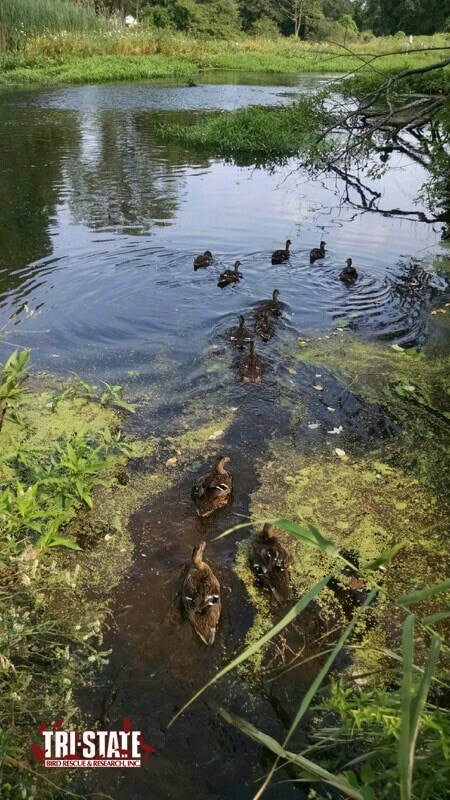 The coordinator of Global Ecology program was provided a copy of the teaching plans for use with her incoming freshman students. 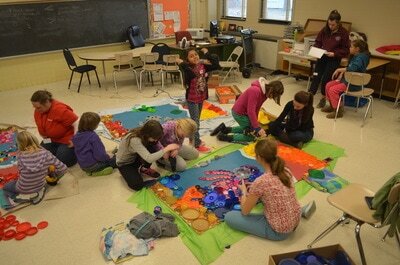 The same approach was taken with a group of students from the elementary school. Rachel made quilts for Project Linus which provides love, a sense of security, warmth and comfort to children who are seriously ill, traumatized, or otherwise in need through the gifts of new, handmade blankets. 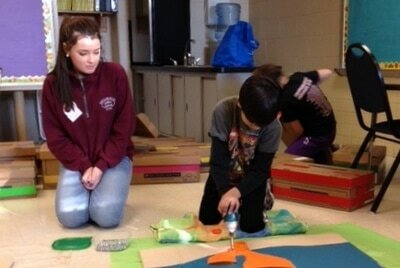 Emily coordinated the making of hand-made stuffed animals to be donated to a local children's facility. She recruited others to work with her and made sure they had the skills and knowledge to keep them safe for younger hands. 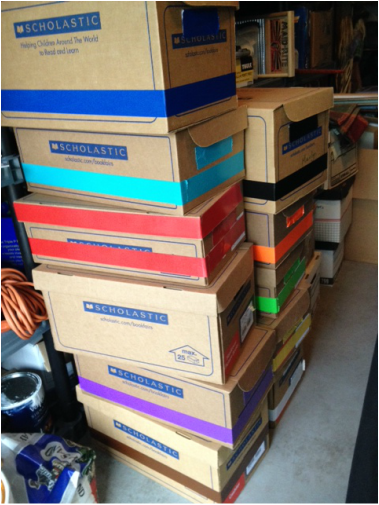 Colleen and Caitlyn collected books for a school library destroyed by Hurricane Katrina. 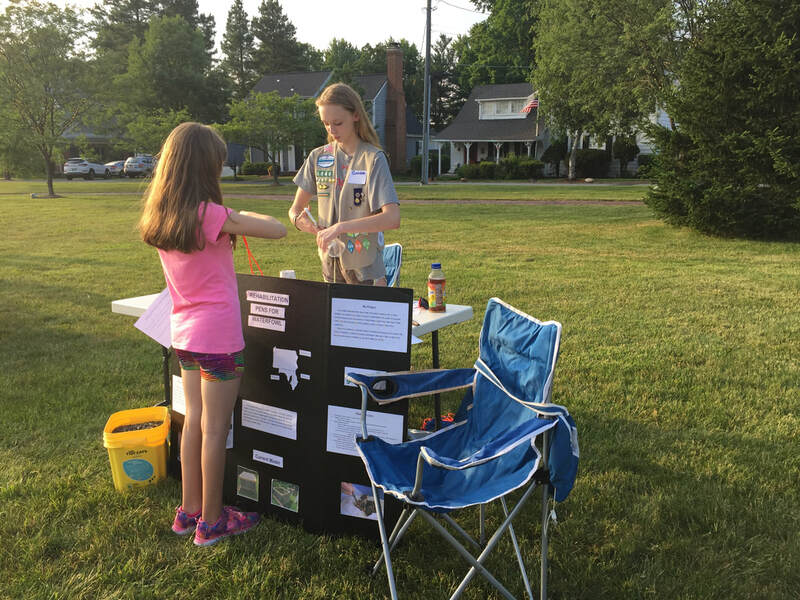 Elizabeth's video was a recruitment video for girls, the video was filmed at various troop meetings and showing what fun Girl Scouts was and to get girls excited about Girl Scouts. She went to school with a girl who had earned her Gold and she interviewed her. 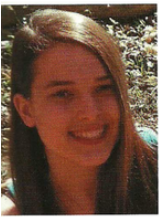 Megan's video encouraged adults to volunteer for Girl Scouts. She highlighted the classes you had to take and interviewed leaders. 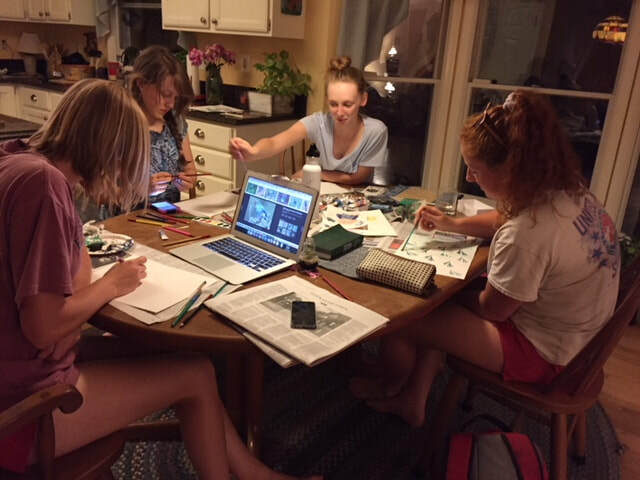 After the Poolesville High School Field Hockey Team won their first State Championship in the fall of 2002, more and more girls expressed an interest in learning more about the sport. Lauren designed and ran a three day introductory camp designed for middle school athletes to introduce or help improve their basic skills and knowledge of the sport. It gave young athletes a basic understanding of the fundamentals before entering high school and encouraged more young athletes to consider summer camps to play field hockey on a high school level. 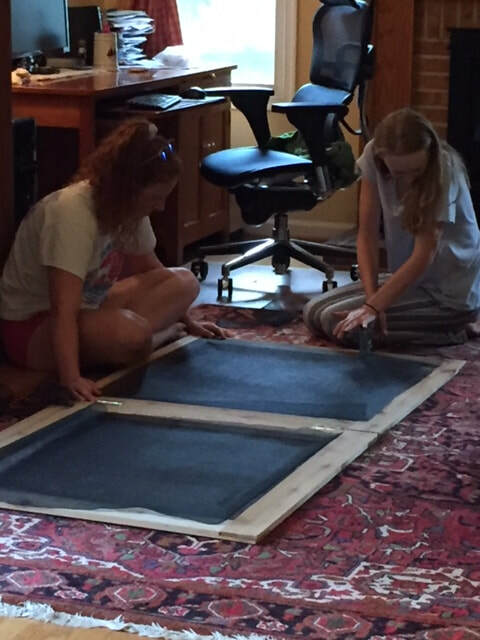 Lindsay and Lauren were the first Poolesville Girl Scouts to earn the Gold Award. 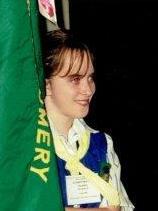 When they earned it, scouts were not required to do a solo project. 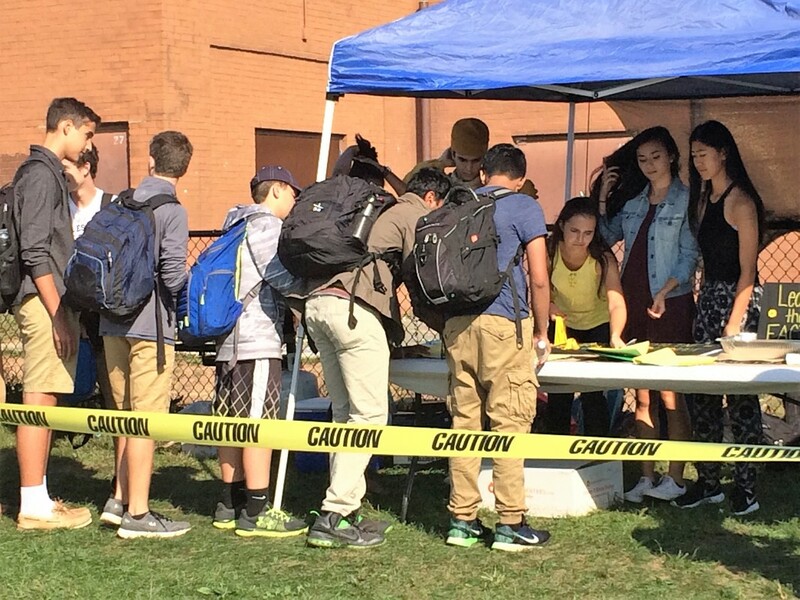 Their project was to organize a "Seniors Afternoon Out" for area senior citizens, with entertainment, music, speakers and food donations to WUMCO.